I'm super thankful for Ian. He more than shares the workload. He helps with the middle of the night stuff even if he is exhausted and has to go to work the next day. 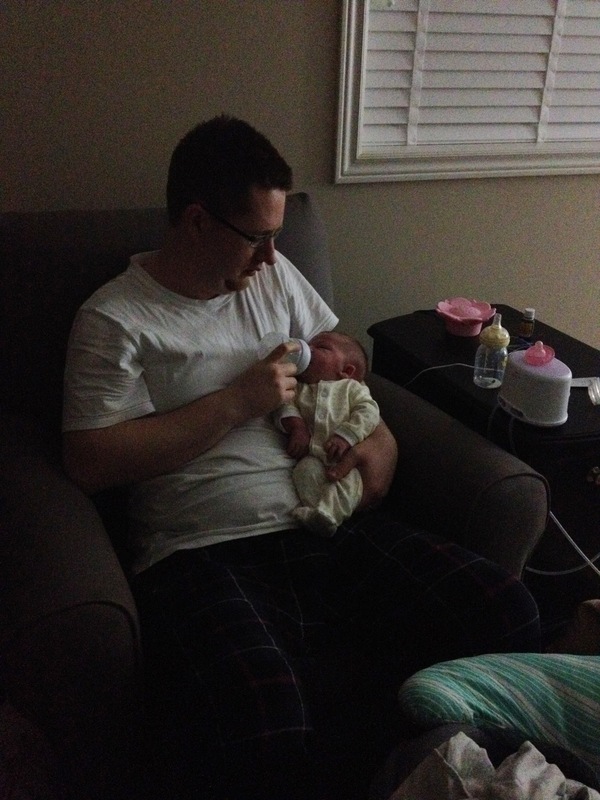 This is a typical 2:00am scene since we have to supplement with formula right now.